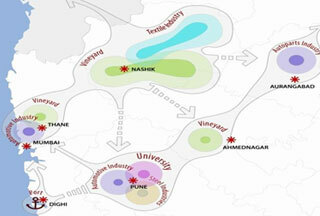 Development of Nashik - Mumbai (NH 3) as expressway. Development of Chakan Road along with ICD at Talegaon. 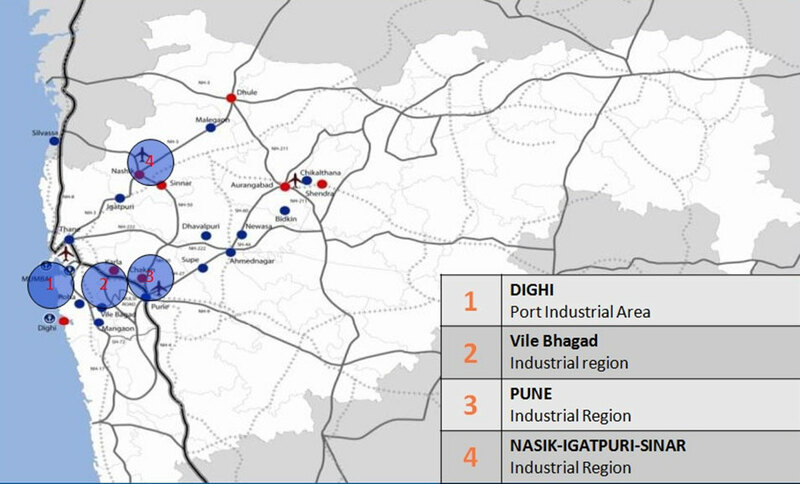 Trans - Harbour link connecting Nhava Sheva (JN Port) to Sion. 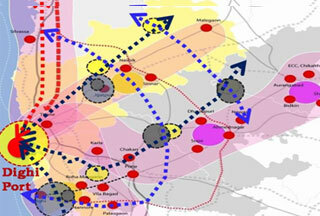 The 1483 km long DFC Projetc is to be commisioned by 2016. 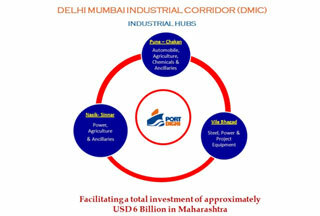 Dighi Port likely to be included as a part of the DFC. 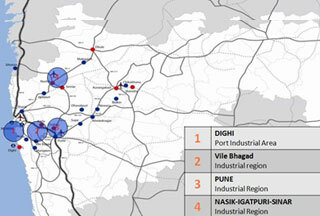 Agro Parks Setting up of SEZ’s, FTWZ’s, CFS’s, Cargo Hubs etc. Minimize Cargo Cost: Cargo such as Fertilizer, Sugar etc. which are currently being handled at ports in adjoining states can be handled at Dighi Port, resulting in lower transaction cost, handling loses etc. Total area of 230 sq. 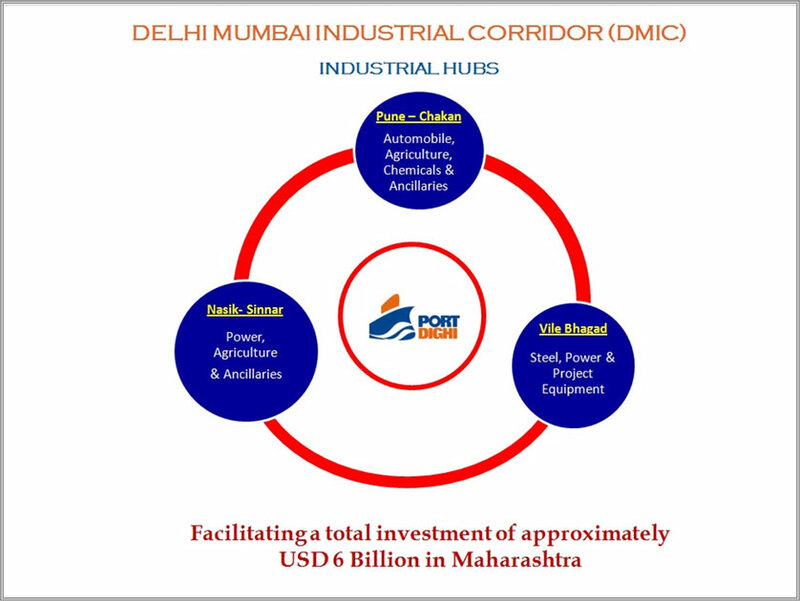 km allocated for the development of the Manufacturing Zone in Dighi Port Area. 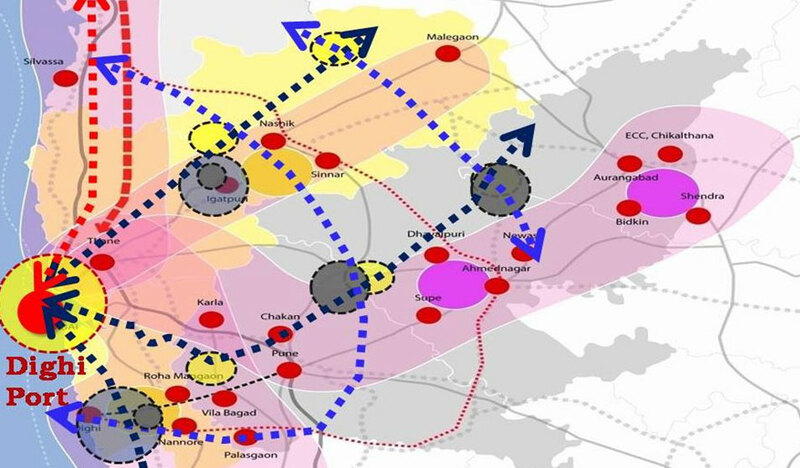 The NIMZ's will entail an investment of US Dollars 5 billion and will include support infrastructure and services like Multi - modals Logistics Hubs, Container Freight Stations(CFS), Inland Containers Depots (ICDs), Warehousing, Cold Storages, Cargo distributions etc. 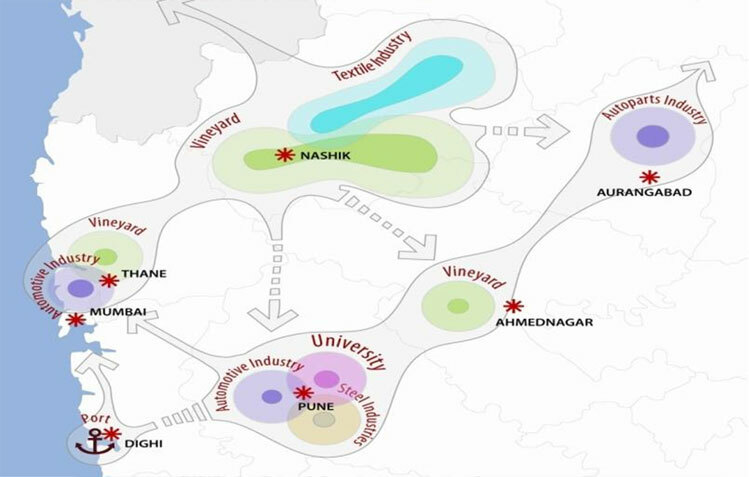 The New Manufacturing Policy offers companies setting up their facilities in the manufacturing zones with concessions ranging from tax benefits to single window approvals.